Rock Paper Scissors (RPS), the ultimate decision-making tool, is played the world over. By the late twentieth century, however, the sport's illustrious governing body, the World Rock Paper Scissors Society, had fallen on hard times. It was then that brothers Douglas and Graham Walker boldly took up the challenge to restore the World RPS Society to its former glory, and now they bring you the ultimate strategy guide to this time-honored game. 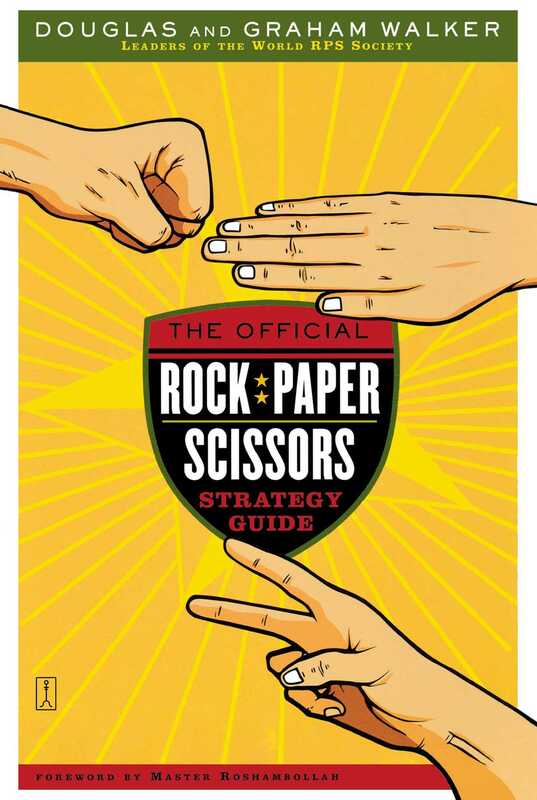 The Official Rock Paper Scissors Strategy Guide covers the whole RPS scene from the school yard to the pro level, including RPS culture around the world, the personality behind each throw, and secrets of the RPS masters. Learn how to intimidate your opponent and anticipate his next move. Get the answers to burning questions such as "Does Rock crush Scissors, or are Scissors dulled by Rock?" and "Who invented RPS?" Forget about flipping a coin or consulting your Magic 8 Ball -- Rock Paper Scissors is the only decision-making tool anyone needs. Sven Jorgensen, national Swedish RPS champion 2001-2003 This book is every pro player's worst nightmare -- a compendium of the most powerful RPS strategies ever devised. Simia Federico, Think Three magazine A triumph...at times I could barely believe what I was reading. William Fong, noted RPS trainer and coach Whether your ambition is a world championship title or the last slice of pizza, this book will get you there.